Heat a saucepan over medium heat and cook the bacon pieces until browned. Add the roasted peppers and the fish and simmer until the fish begins to flake apart. Add the soup concentrate and 1 can of water or milk. Stir well, and cover and let soup simmer for 10-15 minutes over low heat. Make sure the fish is cooked entirely through (it will look white). Garnish with chopped green onions, parsley or tomato. Serve with a salad and some crusty bread or crackers for a complete meal. No Name® Salmon works well in the place of the No Name® Tilapia. 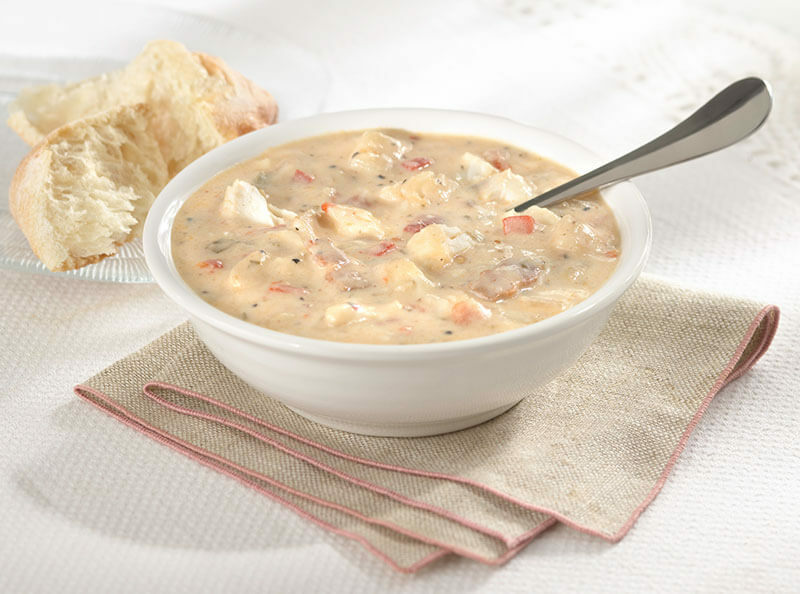 Other soups can also serve as a base for this: try cream of celery or cream of mushroom.